In November 2017 students and lecturers from Oatridge College and the West Lothian Community Payback Team planted 14,500 bulbs in Ecclesmachan and Threemiletown as part of a Community Council project. The results of this work have provided a brilliant and colourful display of late spring/early summer flowers in various locations throughout the villages, so well done to all involved. The Community Council have recently agreed a sponsorship agreement with local award winning nursery Wyndford Farm Plants. 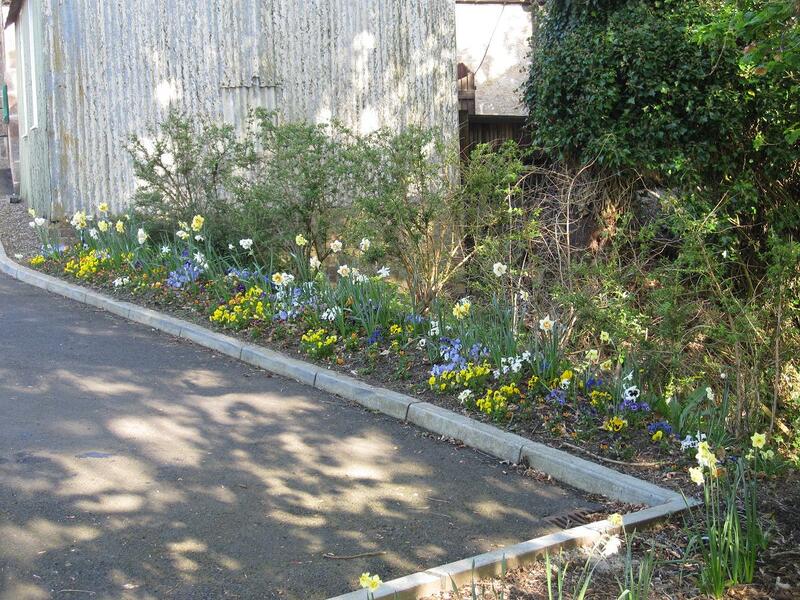 Three of the areas of ground planting which have been previously planted out with bedding plants will now be reworked and maintained by Wyndford staff. The various containers and tyres will continue to be looked after by local volunteers supported by the Community Council. Below you will find thumbnail images of photographs taken today, if you click on the thumbnail a new window will open and the image will load into it. There is an opportunity to submit comments about the plan and about airport noise in general. This can be done online or by downloading a copy of the response form for completion and submission by post. Comments must be received by 2nd April 2018. 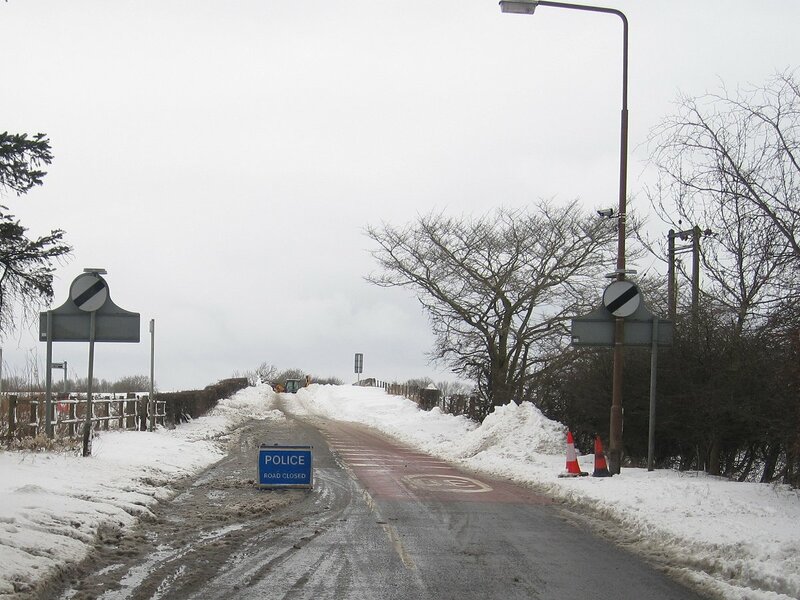 The B8046 between Uphall and Ecclesmachan has been closed on and off for the past few days due to snowdrifts across the road. 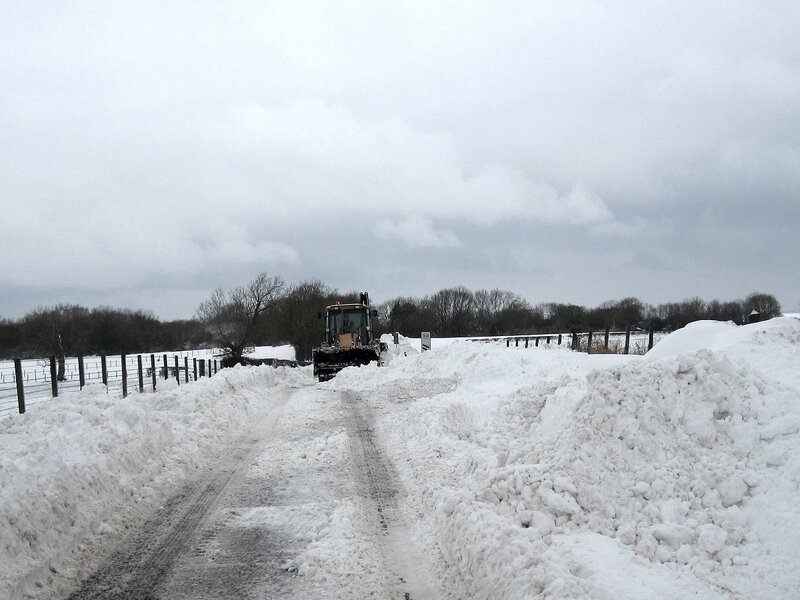 A JCB was busy today clearing the road and by late afternoon both sides were clear again for traffic, however the carriageway is narrow and there is NO footpath access. There will be a temporary road closure next week at the entrance to the village from the B8046 junctiom to Wellpark on Byburn. The temporary road closure is effective from Monday 13 November until Friday 17 November, road plates will be available on site for local traffic but delays should be expected. 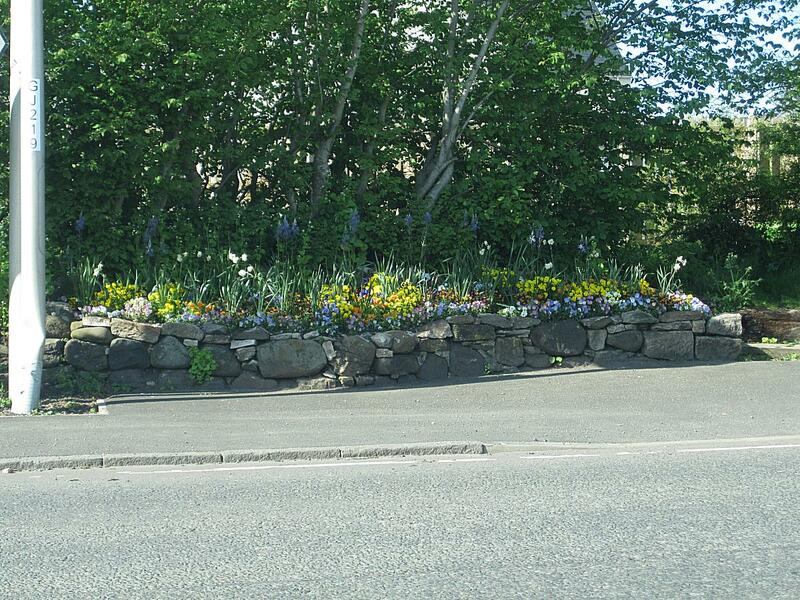 After two years of planning and trials the Community Council, working in conjunction with Oatridge College and the West Lothian Community Payback Team, bulb planting will go ahead this Autumn in Ecclesmachan and Threemiletown. There will be a total of 14,150 bulbs planted in a mix of Anemone, Double Head Narcissi and Traditional Bluebells to give a display from the end of March through to the end of May (before roadside verge trimming commences). The Community Council will be planting Winter/Spring flowers again this year in the various planters and tyres situated around Ecclesmachan and Threemiletown. They'd like some help from the local community again, so if you're available to assist please come along. Meet outside the Ecclesmachan village hall on Saturday 21st Oct. at 12 noon, or the B8046/B9080 junction, Threemiletown on Sunday 22nd. Oct. at 12 noon, please bring gloves and a small planting trowel (both weather dependant). The Community Council will be planting summer flowers again this year in the various planters and tyres situated around Ecclesmachan and Threemiletown. They'd like some help from the local community again, so if you're available to assist please come along. Meet outside the Ecclesmachan village hall on Saturday 3rd June at 12 noon, or the B8046/B9080 junction, Threemiletown on Sunday 4th June at 12 noon, please bring gloves and a small planting trowel. To assist you to find out more about the proposed changes we have organised a “drop-in” session in the Ecclesmachan and Threemiletown Village Hall (EH52 6NG) where Airport staff will be present with a display of information and should be able to answer any questions you may have. There will also be a quantity of printed questionnaires available for those who prefer to submit a response in writing. Members of the local Community Council will also be present during this event to assist if required. This drop-in session has been arranged from 10am until 1pm on Saturday 11th March in the Village Hall at Ecclesmachan, all residents of Bridgend, Dechmont, Ecclesmachan, Threemiletown and Philpstoun are invited. Please do make the effort to come along at a time that suits you during this period. Police Scotland have asked us to make an information sheet on crime prevention at home available on this site. It contains some straightforward advice, details on how register details of any valuables in your home and contact details for local support. You can download a copy of the advice sheet here as a PDF format file. Following the recent trials of alternative departure routes (one of which was halted early due to the volume of complaints from West Lothian residents), the airport have decided that they now want to seek approval from the Civil Aviation Authority (CAA) to make permanent changes to departure routes. One potential (and likely) outcome of this would be aircraft flying overhead us at a fairly low altitude and at high engine trust using a new (proposed) airport departure route. To assist residents of Ecclesmachan and Threemiletown find out more about the proposed changes the Community Council have organised a “drop-in” session in the Village Hall where Airport staff will be present with a display of information and should be able to answer any questions about the proposals. Members of the Community Council will also be present during this event to assist if required. This drop-in session has been arranged from 4pm until 8pm on Thursday 11th August in our Village Hall, please do make the effort to come along at a time that suits you during this period. Edinburgh Airport have now published their trial route (TUTUR) findings report. Following a community-wide survey conducted in 2013 the Community Council recently commissioned a feasibility study to establish if a multi-use path could be created to provide a safe active travel route between the two villages. The full scoping report was carried out by Central Scotland Green Network Trust and has just been published. You can download a full copy of the report here as a PDF format file. The Community Council has just produced its latest newsletter. 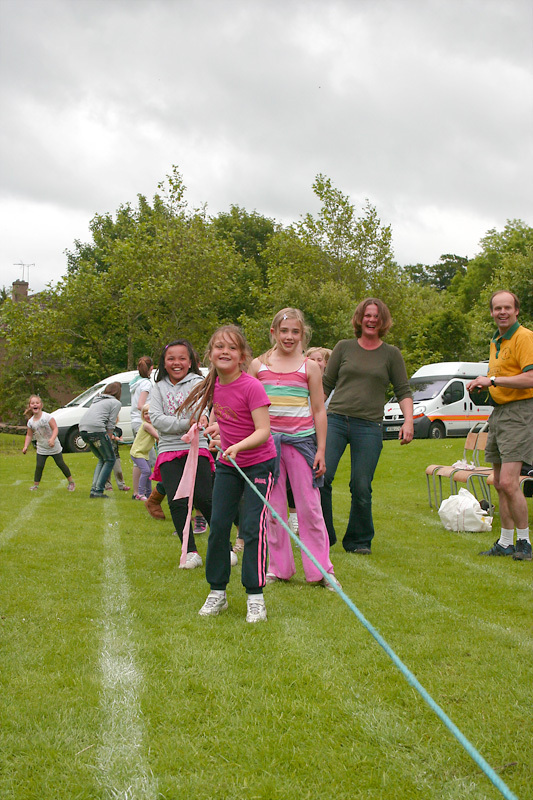 It covers news of The Local Development Plan, Local Paths Projects including an update on the feasibility study for a proposed multi-use path between the two villages, Village flower planting project, High Speed Broadband rollout, Play Park upgrades and updated Events Information. This newsletter, the seventh in the series, was printed in full colour and hand-delivered to every household in the area. You can download an e-copy of this newsletter here as a PDF format file. This file contains "hot links" to futher information on the development plan available from the West Lothian Council web site. Ecclesmachan Church and the West Lothian Local History Library have been collaborating on a display about the history of Ecclesmachan. This is currently on display in the church, and they have announced that they are holding an open afternoon on Sunday 18 October 2015 so that people can come and see it. The church will be open 2-4pm on the 18th October, and there will be free teas and coffees available. Should you have specific noise complaints or believe that an aircraft isn’t following the correct procedure then Edinburgh airport operates a dedicated noise enquiry line 24/7 which can be called on 0800 731 3397. All callers will be asked to leave their name and contact information, along with details of the date and time of any disturbance. All calls are recorded and complaints investigated. Callers will be provided with either an answer to their enquiry or will be told how long they can expect to wait for a full response. It is advised that if you experience more than one event of concern you should call this number each time to report. If you do make a complaint and you do not get a timely response or you feel the response does not resolve your specific complaint then you can contact one of your local councillors, elected MP or MSP and ask them to look into the matter further on your behalf. Our local church has announced that they will be opening their doors to visitors on Saturday 12 September 2015 (10:30am until Noon and 2:00pm until 4:00pm) and Sunday 13 September 2015 (2:00pm until 4:00pm). Information leaflets and refreshments will be available. All street lighting in Ecclesmachan will be replaced with new posts and light units, the work is scheduled to commence around 14th July and will last approximately 8 weeks. The replacement lamps will all be white light but only the units in Byburn will use LED technology. The Council appointed contractor is Glen Maree Contracts Ltd. and in the event of any major issues or concerns during the works you are advised to contact them direct on 07801 847005. 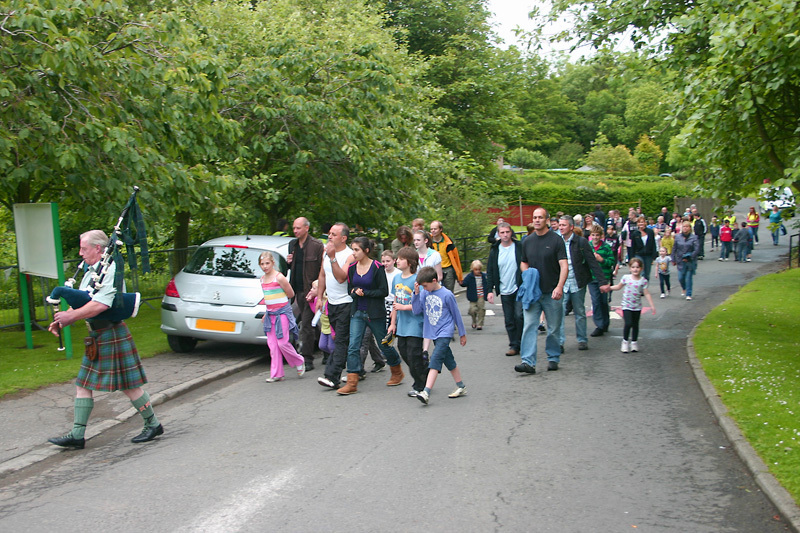 This years event was held on Saturday 7th June and started at the Village Hall, when everyone had assembled a local piper led the procession up to the College grounds. 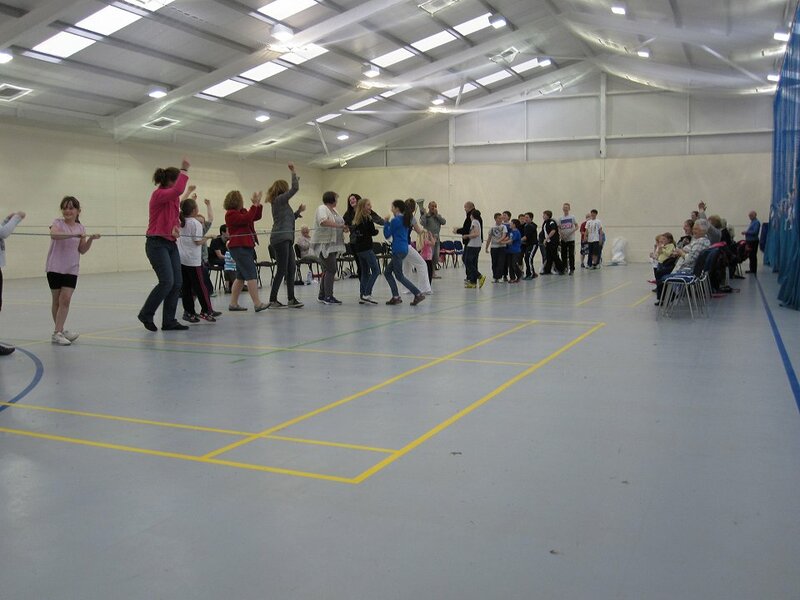 As poor weather had been predicted the Gala Day was actually held indoors at the College Sports Hall. So despite the rain, the Gala committee made everything run like clockwork as usual and everyone had a fun day. Below you will find thumbnail images from a selection of photographs taken on the day, if you click on the thumbnail a new window will open and the image will load into it. The Community Council have commissioned a Feasibility Study to look into the possibility of creating a mixed-use path between Ecclesmachan and Threemiletown alongside the B8046. The design of the proposed path will include a tarmac surface constructed to suit walking, cycling and horse riding. As part of this study the Community Council are conducting a consultation with residents, road users and any other interested party. We have made this questionnaire available to download here as a PDF format file. If you wish your views to be included in a report being prepared by the Community Council, complete a hard copy and drop it in the Village Hall letter box, or post it to Ecclesmachan & Threemiletown Community Council, c/o The Village Hall, Byburn, Ecclesmachan, BROXBURN, EH52 6NG. Submitted forms will be treated in confidence with the results presented in statistical format only, please note all forms must be received by Friday 27th June 2014. 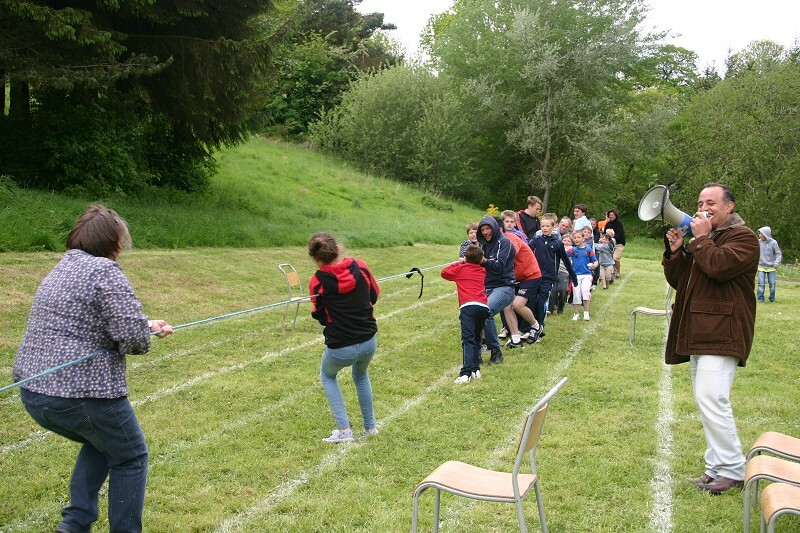 This years event was held on Saturday 2nd June and started at the Village Hall, when everyone had assembled a local piper led the procession up to the playing field. Despite it being very chilly it did remain dry during the day and all the events took place as scheduled. 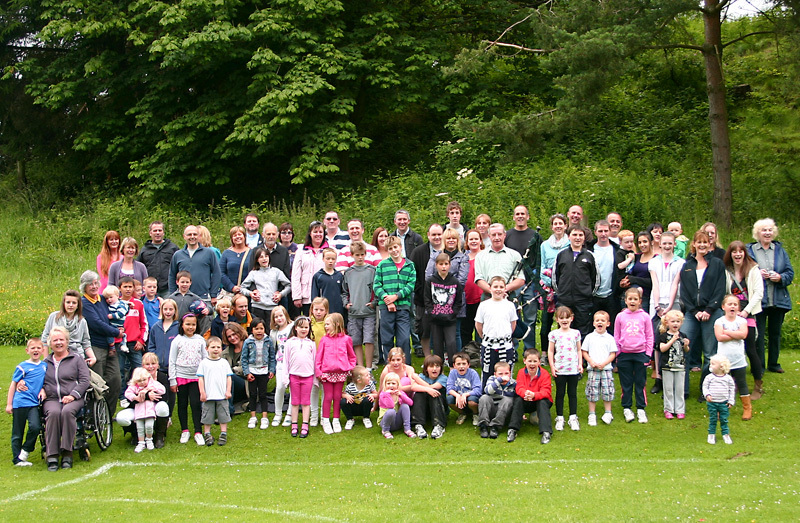 As ever the Gala committee made everything run like clockwork and everyone had a fun day. The Community Council has just produced its latest newsletter. It covers news of The Local Development Plan and Landowners Development Ideas, Update on Traffic & Pedestrian Safety, Local Paths Projects, Village Hall, the Olympic Flame Visiting Broxburn, Oatridge College Community Projects, L&B Police Surgeries and Updated Events Information. This newsletter, the sixth in the series, was printed in full colour and was hand-delivered to every household in the area. You can download an e-copy of this newsletter here as a PDF format file. This file does contain "hot links" to view some of the development plan submissions that are available from the West Lothian Council web site. We have also made a questionnaire available to download here as a PDF format file. If you wish your views to be included in a report being prepared by the Community Council, complete a hard copy and drop it in the Village Hall letter box, or post it to Ecclesmachan & Threemiletown Community Council, c/o The Village Hall, Byburn, Ecclesmachan, BROXBURN, EH52 6NG. 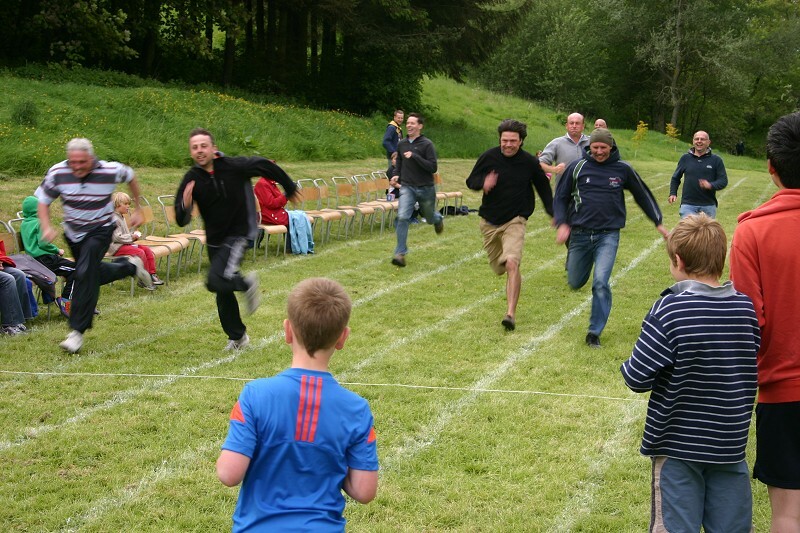 Submitted forms will be treated in confidence with the results presented in statistical format only, please note all forms must be received by Friday 25th May 2012. Following a path set by the public Road Traffic & Safety meeting held in April 2006, the Community Council has continued to campaign for safer roads and pavements for all in and around our villages. 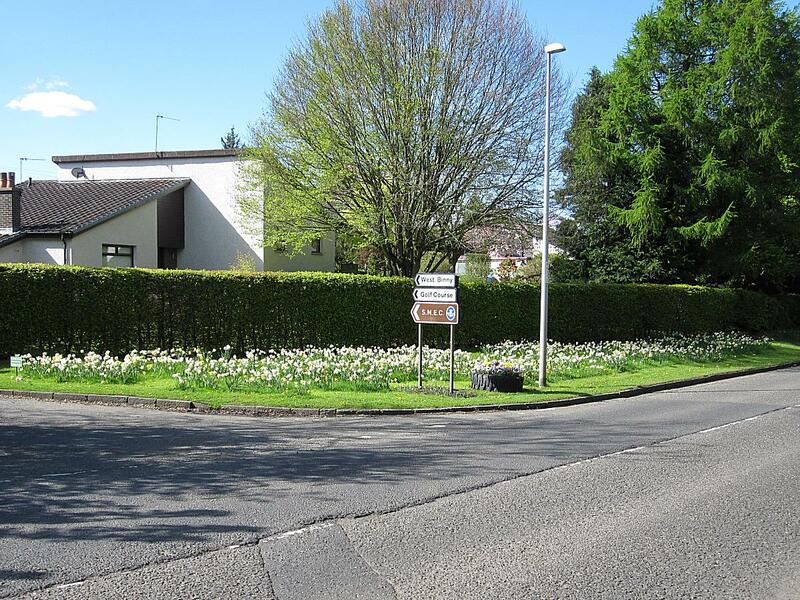 Since the meeting in 2006 the Community Council have held regular update meetings with West Lothian Council Officers, not only to monitor progress with the various requests, but to make comment on more recent events affecting the B8046 & B9080. As part of this process, prior to one of the update meetings, a full survey of all traffic safety signs and pavements was conducted and any issues found were entered into the ongoing discussion. These ranged from accident hotspots to holes in pavements, residents may have noticed some recent activity / changes and... there’s more in the pipeline. Click here to read the latest revision of the full report. 8 students and 2 members of staff from the college were joined by 12 local residents to help plant apple trees that will become the Oatridge, Ecclesmachan & Threemiletown Community Orchard. Click on the thumbnail picture below & a new window will open with a larger image. 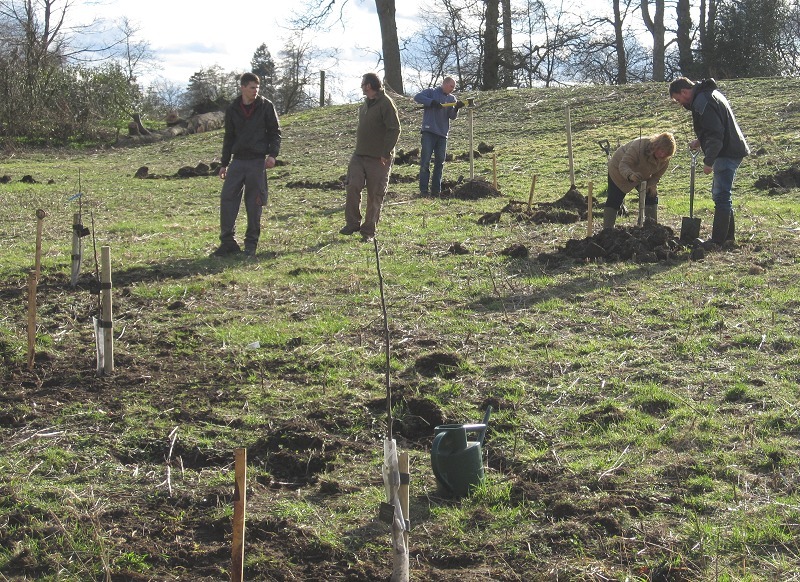 25 trees of 6 different types were planted – all old Scottish Varieties – Bloody Ploughman, James Grieve, Galloway Pippin, White Melrose, Tower of Glamis and Scotch Bridget. The students & staff also planted approx 10 metres of native hedgerow (just another 50 metres to go!). Another event is planned for 2pm on Sunday 27th May, where training will be given on how to prune and feed the trees to encourage healthy growth. Oatridge College are inviting local residents to join them on Sunday 18th March to help plant apple trees that will become the Oatridge, Ecclesmachan & Threemiletown Community Orchard. The event will start at 2pm and is likely to last a couple of hours. Please remember to wear suitable clothing as the area will become very muddy! Tea, coffee and apple pies will be provided. If you would like to attend, please follow the signs from the main car park or, if you intend to walk, follow the signs on the main drive. Part of the B8046 Uphall to Threemiletown road will be completely closed for upgrades to the surface. This closure is set for Monday 26th September until Friday 14th October, although we are assured that if the weather is reasonably good, the work will be completed and the road re-opened before the 14th October. The section that will be completely closed is from Hillside Cottage at the north side 30mph signs in Ecclesmachan (bottom of Tar Hill), to the juction with the C19 road to Faucheldean (about 200mtrs north from the top of Tar Hill). The actual works taking place are to patch and resurface the existing carriageway, apply new anti-skid surface, new road markings and new cats eyes. 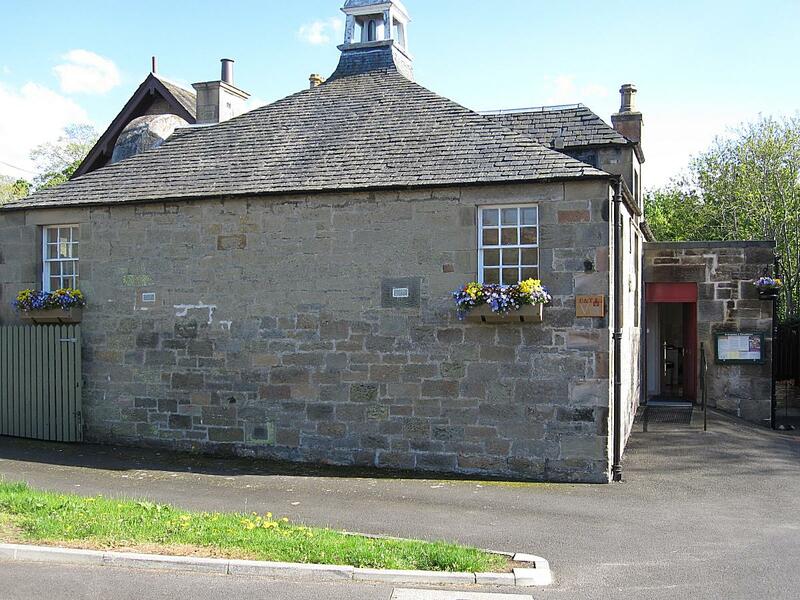 The Ecclesmachan & Threemiletown Village Hall is currently closed for some major renovation work, this includes roof repairs, window repairs, a completely new internal lighting system, a complete toilet refit and then painting from top to bottom... outside and inside. Whilst some inconvenience may be caused in the short term, the result will see the village hall transformed and refreshed ready for use again by the end of the month. 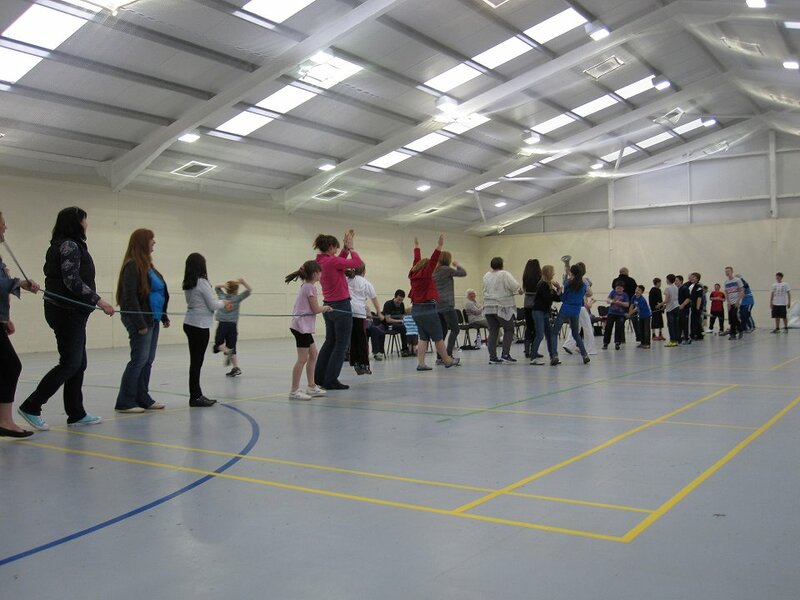 We will shortly add a new set of pages to this website with pictures of the refurbished hall, details of its resources and how it can be accessed for community or private group functions. 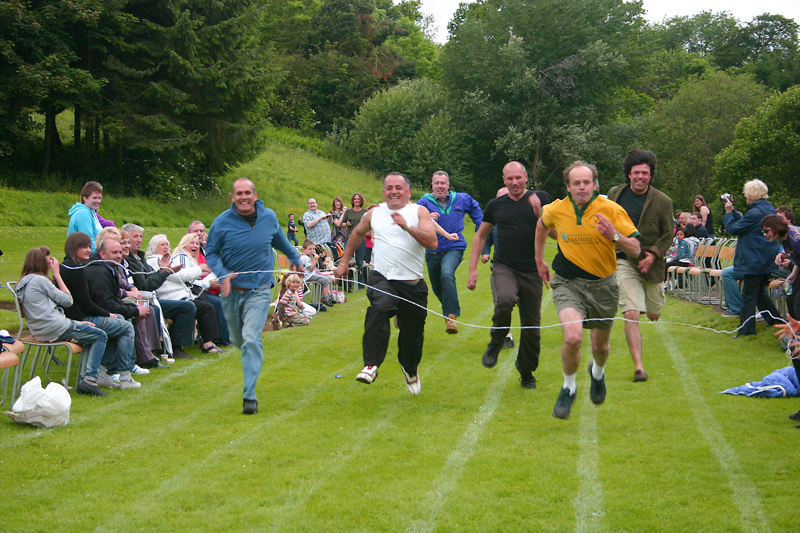 This years event started at the Village Hall, when everyone had assembled a local piper led the procession up to the playing field. 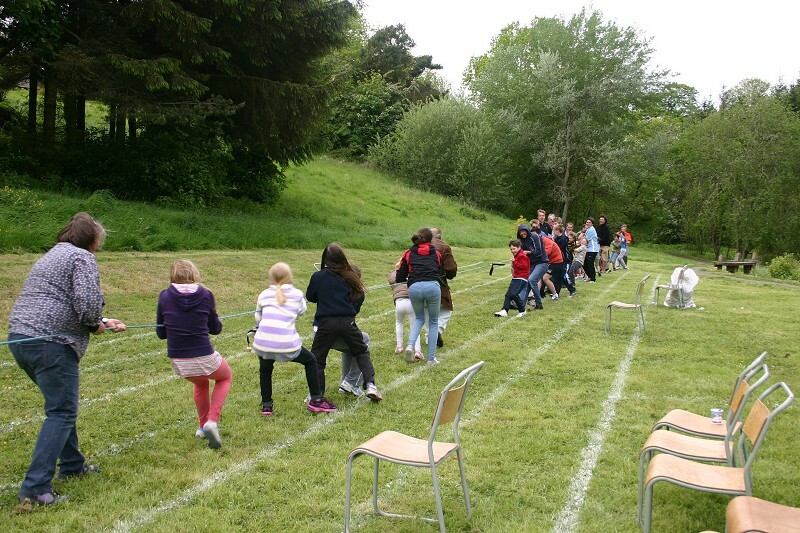 Despite a few showers during the day all the events took place as scheduled, the Gala committee made everything run like clockwork and everyone had a fun day. The procession makes its way to the playing field. Everyone is ready to start the days events. 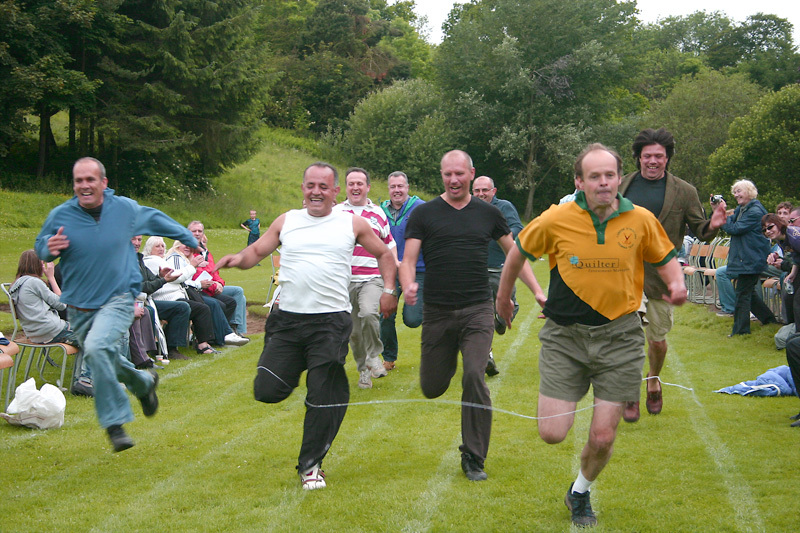 The mens race was fiercely fought. Nicholas Schellenberg wins the mens race. 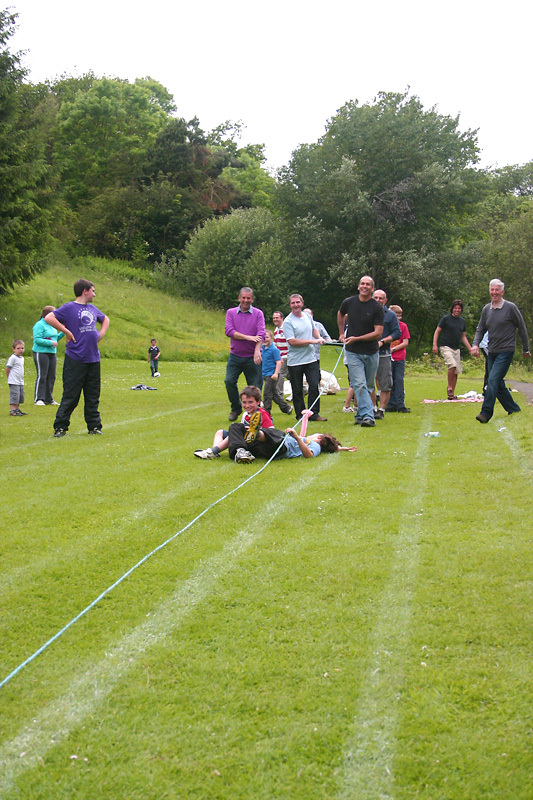 The girls beat the boys in the tug-of-war. But the men beat the ladies. 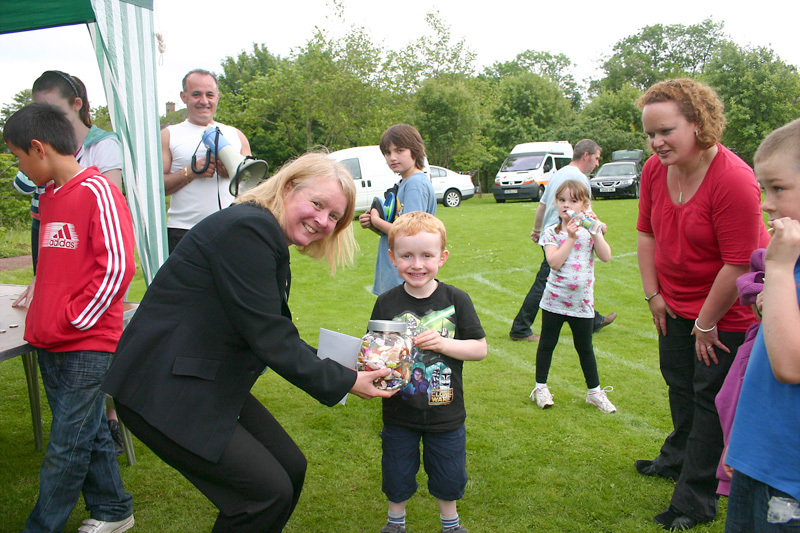 Winners of the "Guess the Sweets in the jar" competition. 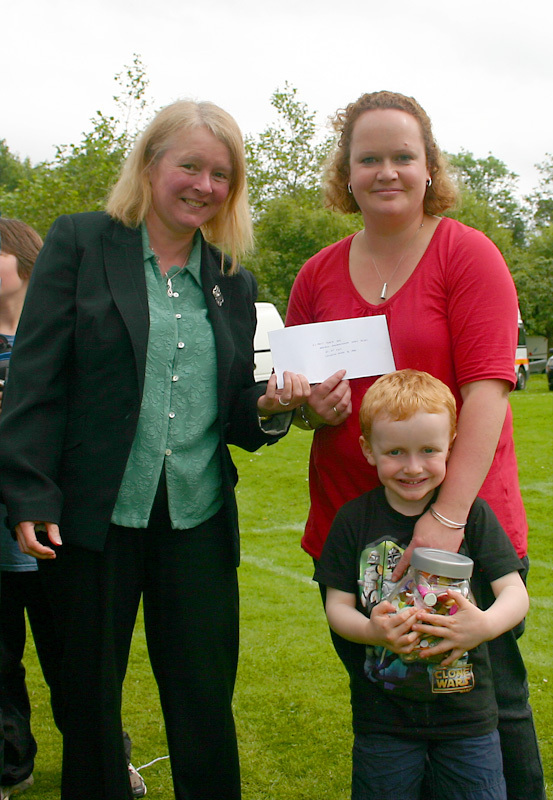 They win the sweets and a horse show voucher. 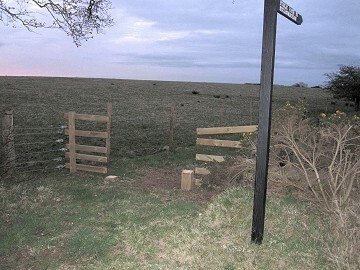 Less than 4 weeks after the official launch of a path improvement project lasting over three years, a new special stock-proof gate was stolen and its securing posts were destroyed in the process. 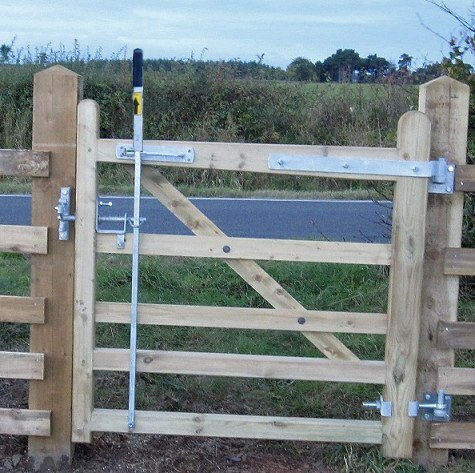 Discovered on Wednesday 13th April the gate, which separated the path from the adjacent road had been cut out using a power driven saw. 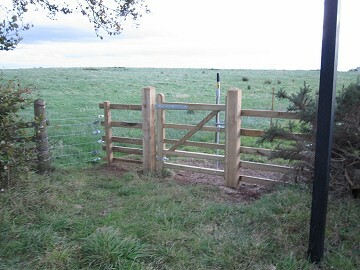 This gate is very distinctive and specialised – only made by Centrewire Ltd. and designed for use on public paths where livestock protection is part of the design. The project, created and managed by the Ecclesmachan and Threemiletown Community Council, was funded by Awards for All lottery funding and The West Lothian Council LEADER programme and took over 3 years to plan and execute. It involved the co-operation of three local landowners including Oatridge College and technical assistance from Paths for All. Work on the four paths, some 8.5km long in total, included drainage work, a new bridge, new fencing, new stone-pitched steps and new stock-proof gates. Tasks so vast and diverse that a specialist local contractor was appointed to carry out most of the work. You can see more detail about the project using the Local Paths link at the top of this page. If you can give any information on the stolen gate and damage that took place at the side of the Dechmont to Linlithgow road, please contact Lothian and Borders Police at Broxburn Police Station on 01506 852121 quoting incident number 0750/14042011 or use the contact link at the top of this page. After years of deterioration on the paths / local walks around the local landmark of Binny Craig, the Ecclesmachan and Threemiletown Community Council embarked on a three year planning and fund-raising project to repair and upgrade the most important paths in this local rural network. An initial survey and outline report was produced for discussion. From this information it was decided that most of the work was beyond the capability of volunteers and that a formal survey would have to take place with a view to having contractors appointed to carry out the improvements. Following the formal survey and preparation of a detailed specification of requirements and with funding secured from Awards for All and the West Lothian LEADER Programme, a local contractor was appointed and the work was completed in October 2010. The only path suitable for volunteers to work on, the Threemiletown to Philpstoun path, was overhauled in 2009 by a team from the Community Council and more work will take place on an ongoing process during 2010 and beyond. Whilst the paths have been cleared and will mostly be self-maintained through increased use, any extra maintenance required will be carried out by members of the Community Council. Whether you are a resident or a visitor to the area, we trust that you will enjoy these historic and wonderful local walks for many years to come. Oatridge College and the Community Council would like to invite local residents to an open evening hosted by Oatridge College. From the ideas put forward at this event, a questionnaire will be prepared and presented to every resident in the area to establish the most popular potential projects. The completed questionnaires will then be used to investigate feasibility and available sources of funding to secure as many projects as possible. The Community Council would like extend an open invitation to an information evening about the Shale Villages Project presented by John Holt, the Shale Villages Project Officer. This event will take place at 7pm on 7th April 2010 in the Ecclesmachan Vilage Hall. The Community Council has just produced its latest newsletter. It covers Recent Proposed Boundary changes, Elections for 2009, the Local Paths Project, Neighbourhood Watch Update, Cold Calling Control Zone Update, New Theft Prevention Initiative from Lothian & Borders Police, Proposed Recycling Plant at Philpstoun South Bing and Updated Events Information. This newsletter, the fourth in the series, was printed in full colour and has just been hand-delivered to every household in the area. You can download your own copy here as a PDF format file. Following proposed boundary changes where the Community Council's very existence was threatened, a recent decision has seen a reprieve. In a recent letter from West Lothian Council's Committee Services, the Community Council was informed that a proposal had been made to align the Community Council boundaries and the Multi-member Council ward boundaries. This in effect would have meant that Threemiletown would become part of the Linlithgow ward and the residents of Threemiletown would only be eligible to join the Bridgend Community Council. In turn Ecclesmachan would then have been a stand-alone area with only residents from Ecclesmachan being eligible to join the then named Ecclesmachan Community Council. If this change had been implemented then the Ecclesmachan Community Council would have instantly ceased to exist, as we would have needed at least 4 members to operate at all and there was only 3 members from Ecclesmachan. Thankfully at a recent meeting of the Partnership and Resources PDSP (20th March 2009), it was confirmed that the Ecclesmachan and Threemiletown was to be retained as one joint community council. The Community Council would like to thank everyone who supported them in their cause... local residents, elected members and other Community Councils. Following research carried out by a local resident, Catherine Ferguson, it has been confirmed that a total of 831 patients of Bangour Village Hospital, whose bodies were unclaimed, were buried in Ecclesmachan Cemetery (566), Uphall Cemetery (191) and Loaninghill Cemetery (74) between 1904 and 1992. As a result of this research, West Lothian Council have recently placed Memorial Stones in all three Cemeteries in memory of those people. Click here to read Catherine's full report. In a recent letter from West Lothian Council's Committee Services, the Community Council has been informed that a proposal has been made to align the Community Council Boundaries and the Multi-member Council Ward Boundaries. This in effect would mean that Threemiletown would become part of the Linlithgow ward and the residents of Threemiletown would be eligible to join the Bridgend Community Council only. In turn Ecclesmachan would then be a stand-alone area with only residents from Ecclesmachan being eligible to join the then named Ecclesmachan Community Council. This of course is of great concern as the household split is Threemiletown 75 households and Ecclesmachan 50 households. Again of great concern is our current membership, which is 5 from Threemiletown (with 2 office bearers) and only 3 from Ecclesmachan (again with 2 office bearers). If this change were to be implemented then the Ecclesmachan Community Council would instantly cease to be able to exist, as we need at least 4 members to operate at all. 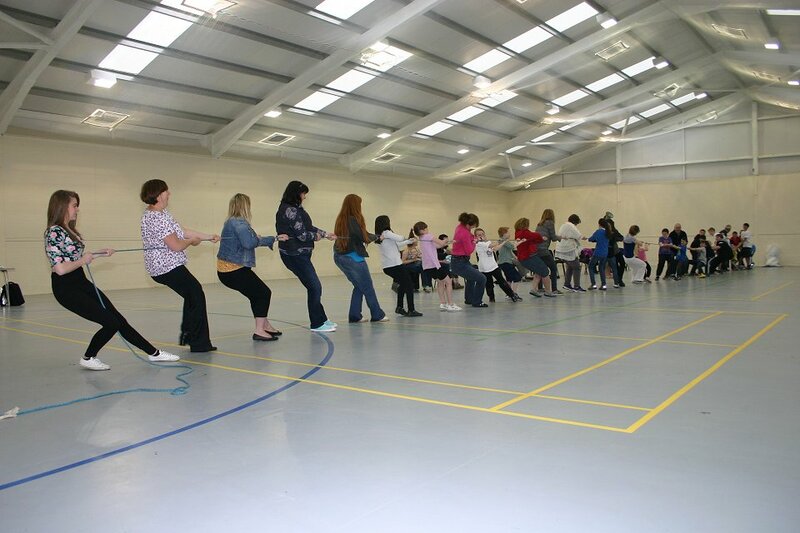 There is also the fact that most of our community groups are joint community groups taking members from both the villages and using the village hall as their base - we have a long history of working together as a joint community. Lorraine McGrorty, Committee Services, West Lothian Council, Almondvale Boulevard, Livingston, EH54 6QG. 02 August 2006. Oatridge Agricultural College Expansion? It has recently been brought to our attention that Oatridge Agricultural College has made two further planning applications to West Lothian Council. 1) Outline planning permission for the erection of two houses for agricultural workers. 2) Outline planning permission for the erection of agricultural buildings. 1) Outline planning permission for the conversion of existing steading and extension to steading to form seven houses and separate parking courtyard and garages at Oatridge Farm. 2) Outline planning permission for the formation of two house plots with shared vehicle access at West Binny. If you are concerned about these proposals we would also suggest that you seek and consult a copy of the "Finalised West Lothian Local Plan 2005".This wiro-bound document, along with it's plans, clearly shows that in the case of the first two proposed developments above "An area of Great Landscape Value (Policy ENV19-20)." applies. Policy ENV19 states "Within the six AGLV shown on the proposals map there is a presumption against development which would undermine the landscape and visual qualities for which these areas were designated. Policy ENV20 states "Development proposals outwith an AGVL which would affect its setting from important viewpoints will be subject to detailed visual appraisal and will not be supported if it adversely affects the designated area. This document also defines "An area of Great Landscape Value" as being "An area designated by a local authority in development plans as being of special landscape character requiring special protection against innappropriate forms of development. The requirement to designate AGVLs is set out in circular 2/1962." 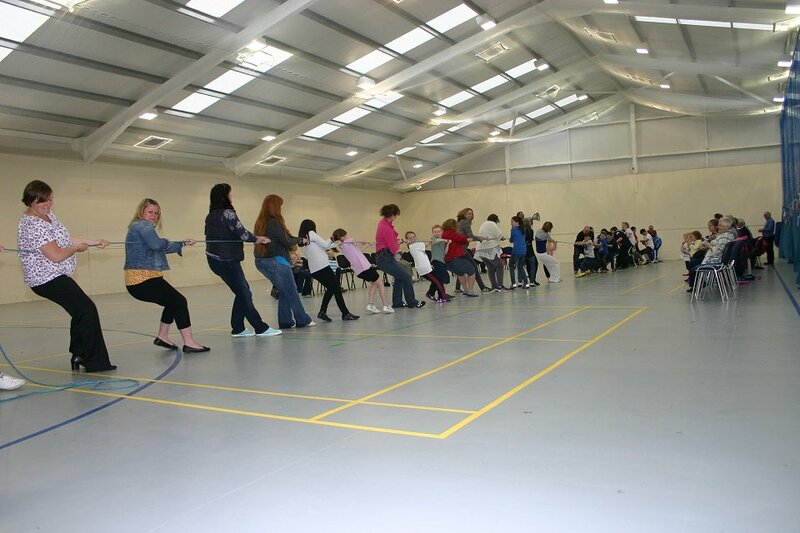 The special meeting held in the Ecclesmachan Village Hall at 7:30pm on Wednesday 5th April 2006 was very well attended. Mr Jim Reid, Team Leader for West Lothian Council's Road Safety & Traffic Management department and Sergeant Dave Wilson from Lothian & Borders Police presented their future plans for road traffic management and improvements for this stretch of road & policies for policing. This was followed by a lively question and answer session. Draft minutes of the meeting can be viewed here using this link. Following many complaints from local residents regarding the high incidence of road traffic accidents and speeding on the roads through the villages, the Ecclesmachan and Threemiletown Community Council has organised a special meeting at the Ecclesmachan Village Hall at 7:30pm on Wednesday 5th April 2006. The Community Council has invited Mr Jim Reid, Team Leader for West Lothian Council's Road Safety & Traffic Management department and a representative from Lothians & Borders Police to present their future plans for road traffic management and improvements for this stretch of road. Anyone who has concerns over this issue should bookmark this date in their diary, come along to listen and perhaps add their own input to this. An information pack outlining the issues and progress to date will be circulated round the area prior to the meeting. Copies will also be available in the Broxburn Library. 30 September 2004. Music News. A new CD, recorded by a local music group, The Faucheldean Players was recently released. The CD was recorded and produced in aid of the Macmillan Cancer Relief charity. The recording of this CD took place in the Ecclesmachan Village Hall over the Easter Holiday period earlier this year. It took some three days to record and the Village Hall was a nice quiet location for this - except for the clock!. The clock had to be carefully removed for every recording session... (click here to see a picture of the noisy wee clock being removed). The CD features a selection from the trio’s easy-listening repertoire and is priced at £10. For more information, visit The Faucheldean Players website at http://www.faucheldeantrio.org.uk. 12 August 2004. Road Closed Again. The main road through the village was closed again today from about 10:30pm until 1:00am. Yet another old tree had dropped a large branch across the road - right in front of one lucky motorist who escaped with only minor damage to the front of his car. Click here to a picture of the offending tree. The police were on the scene quickly and closed the road whilst West Lothian Council workers cleared the branches away. The unusual thing about this incident is that there was not a breath of wind - but in view of all the rain and damp fog here recently, we can only assume the weight of the branch had increased significantly from absorption, causing it to break away. As local residents are well aware, the terrestrial television signal in Ecclesmachan for most is very poor. This is due to the terrain between the village and the nearest transmitters (Blackhill and Craigkelly), and means a high gain aerial, mounted high with a masthead amplifier is recommended. Even then, most people cannot receive Channel 5 at all, and the winter signal for Channel 3 and Channel 4 is very poor. Cable TV is not available (despite a main fibre optic cable running through the village, feeding cable TV and Telephone services to other towns in the area). Recent information from Telewest confirms they have no plans to provide a service in the area here. The only other option open to this area is Digital Satellite viewing, this until recently could provide BBC1, BBC2, Ch3, Ch4 and Ch5 as well as many others on a "Free To View" (FTV) system via a Sky installation and being in possession of a FTV card. One also has the option of subscribing to a Sky package of varying levels. Now for the bad news... As the BBC funded the FTV card system and they no longer need to provide the service, it has been withdrawn. Co-incidentally Sky are in the process of updating their encryption codes and are issuing new cards to all their Subscription customers. When the new encryption is switched on, all old cards (including all FTV cards) will cease to function, so all current FTV Sky receivers will only be able to allow viewing of BBC FTA signals. If you wish to continue viewing Ch3, Ch4, Ch5 and the handful of other previous FTV channels by Digital Satellite, you will have to subscribe to a monthly fee service from Sky. The cheapest subscription available at this time is £150.00 a year (£12.50 a month). 15 June 2003. What was that smell? A Scottish Water representative said 'This happens frequently in this area, but this is a strange one in a previously unaffected section of the pipe, it must have been blocked for ages. It could be from the village or even Oatridge College - we have had so many problems with grease, condoms and sanitary towels in the drains and they just can't handle it". We could conjecture that this problem was reactive and not preventative, which is probably the case for many Scottish Water problems in the region, both in supply and disposal... but then what do we know? We are only the consumers paying (dearly) for the service... Please post your concerns to Scottish Water direct - not here - You can call them direct on 0845-7420420. It it with great regret we have to report the passing away of Matt McKendrick (82). As a prime mover of the Ecclesmachan Leisure Group and one of the "keepers of the village hall" he will be sadly missed by the local community and our thoughts go out to family and friends alike. Yet never once he flaunted. Remember, We'll see you again. After lying empty since February 2002, the former Sue Ryder Care Home at Binny House is about to become Scotland's first dedicated hospital for young people suffering from bulimia and anorexia. The Huntercombe Edinburgh Hospital will be run by Four Seasons Health Care and will open on 24 June 2003. It will provide 22 beds for 11 to 25 year-olds with acute bulilia and anorexia, eliminating the need for patients to travel to England for treatment. The new facility is expected to employ around 50 people and will provide access to a variety of therapies, activities and educational resources. Early in the evening, Police and five units from local Fire Stations attended a fire at Oatridge Farm, part of Oatridge Agricultural College. The recently filled hay shed was a blazing inferno, and the entire structure with its contents of over 3,000 bales of straw, were lost to the fire. Fortunately, thanks to the prompt response and skilful management of the Fire Brigade and farm staff, the blaze was contained to this one building (despite the close proximity of further storage sheds and a horse stable). A Police spokesman later said: "Three youths have been detained, interviewed and charged with willful fire-raising and a report has been sent to the Children's Panel." Click here to see pictures of the blaze. The local residents and passing motorists were today reminded of the fact that flash floods were becoming a more frequent feature of the weather pattern. With over 24 hours of localised thunder, lightning and torrential rain, the drainage system just could not cope. With over two feet of water on main road at East Binny, it all but closed for a good part of the day. The electricity, of course, was off all day and not restored until 6am the following morning. The normally sedate Ecclesmachan Burn became a raging torrent, rapidly flooding the fields in the valley to the east of the village. Take a look at our Pictures page, where "before and after" type pictures of the Ecclesmachan Burn are available to view. The Community Council, in partnership with the Oatridge Agricultural College, has secured funding for much needed improvements to the public footpath to Binnie Crag. These improvements were designed and agreed by both parties several months ago. The work itself is being integrated into a certificated class course, thus giving the students at the college a practical and interesting project to complete. The improvements which include: Construction of a boardwalk over a waterlogged area, trimming vegetation, resetting steps which are off level, installing cross drains over the steps, widening the path at the top of the steps and installation of markers at the top section will ensure that people using the path will find it much more enjoyable and safer. The recent conversion work at Binny Stables has been completed. The old stable block has been carefully renovated to create four luxury homes which went on the market recently. Click here to see a picture of the building which was taken during the renovation work. The Ecclesmachan and Threemiletown Community Council has set the date for it's AGM. This meeting will be held in the village hall at 7:30pm on Wednesday 1st May 2002, it is hoped that some of the local community will attend. Unfortunately the care centre has now closed (Feb 2002), the charity claiming lack of funds to operate further. 22 Feb. 2002 West Lothian Draft Local Plan. A public workshop is being held on Tuesday 26 February 2002 (from 7pm - 9pm) at Winchburgh Primary School. The aim of this 'workshop' is to give people the opportunity to discuss the contents of the West Lothian Local Plan, the focus of this particular meeting being the areas Ecclesmachan, Threemiletown, Winchburgh and Broxburn. The plan referred to covers housing, transport, road structure and new schools. There is also a meeting on Tuesday 5 March (from 7pm - 9pm) at Uphall Primary School. The focus of this meeting being stated as Uphall, Uphall Station and Pumpherston. This meeting however, has possibly more interest to the Ecclesmachan and Threemiletown residents than the Winchburgh meeting, as the proposed developments are closer and have great implications on road traffic through the villages. Sue Ryder Care announced it is to close Binny House, despite West Lothian and Edinburgh City Councils offering £400,000 of funding to keep it open. The future of the 24 patients is uncertain. The Ecclesmachan and Threemiletown Community Council was re-established at its inaugural meeting in the village hall. The new council had four nominated members and a fifth was co-opted onto the council during the meeting. Sue Ryder Care announced its intention to close Binny House at Ecclesmachan if it cannot secure extra funding of £500,000 per year. Sue Ryder Care has already closed one centre in Suffolk and earmarked both Binny House and another centre in Berwickshire for future closure. The charity blamed "increased nursing costs, insufficient statutory funding and staff recruitment problems for this decision". There is also the additional problem of expensive renovation works due to the 'Care Standards Act', which was introduced in April 2001 and requires major investment in the home to meet compliance. Remarking B8046 with an area of central hatching and a right turn Lane into Byburn. Remarking give way markings at junction adjacent to church. Erection of illuminated staggered junction warning signs on both approaches to this location. Trimming of foliage at existing speed limit signs and over the east side footpath. Marking a new 30mph speed limit roundel at the start of the limit from the north. Phase two, which is the construction of a central island in the vicinity of the bus stop / entrance to Byburn, will be installed at an 'early date'. A lorry driver had a narrow escape today. After swerving to avoid an articulated vehicle coming over the bridge in the village, his vehicle (a tipper lorry with a full load) burst through the crash railings on the east side of the road. The lorry hurtled down the embankment, felling trees on the way, and came to rest against a large old lime tree at the bottom of the gully. The driver was helped out of his cabin with only his pride hurt and a few minor bruises! The road had to be closed for several hours whilst special lifting equipment struggled to extract the lorry from the roadside gully. After its removal West Lothian Council decided to fell the damaged lime tree. Click here to see a slide show of 5 pictures of the recovery process. Note that each picture will take about 20-30 seconds to load and that each picture in the sequence will download automatically.